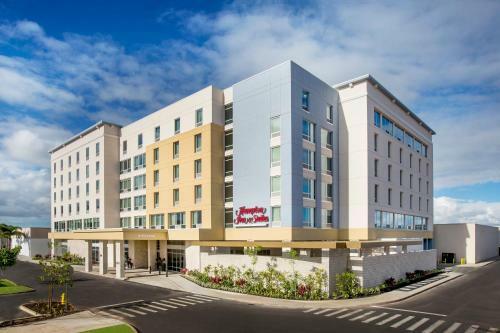 Featuring free WiFi and a complimentary daily breakfast, Hampton Inn & Suites Oahu/Kapolei, HI offers modern accommodations in Kapolei on the west side of Oahu. 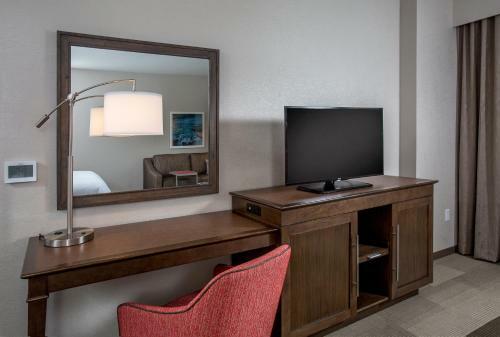 Every guest room is equipped with a flat-screen TV and air-conditioning. 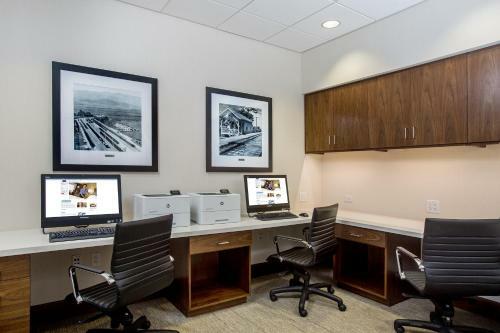 For added convenience, all rooms include a refrigerator, microwave, and a coffee machine. 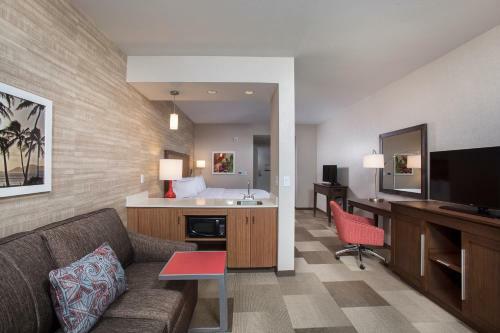 At the Hampton Inn & Suites Oahu Kapolei, guests have access to an on-site fitness centre, a swimming pool, and a business centre. 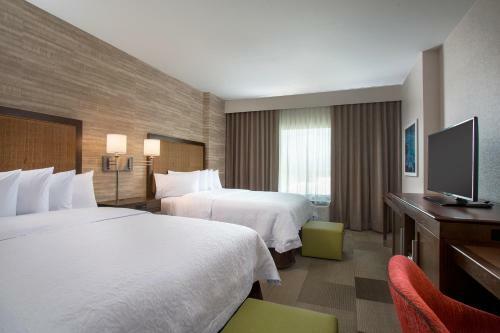 There is a 24-hour front desk and free self-parking is available. The hotel is located adjacent to Ka Makana Ali'i, a center which features more than 150 shops, restaurants, and entertainment. 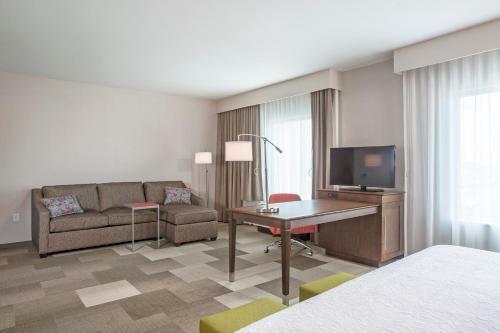 Popular attractions nearby include Ko Olina Beach, Pearl Harbor and the University of Hawaii West Oahu. 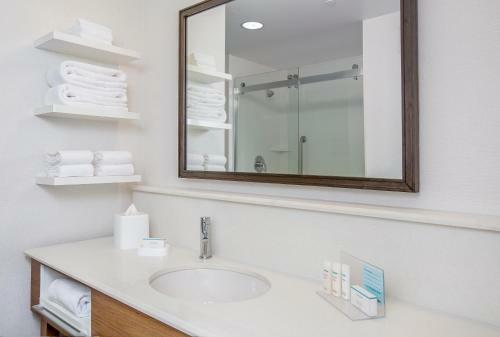 The nearest airport is Honolulu Airport, 30.5 km from the property. 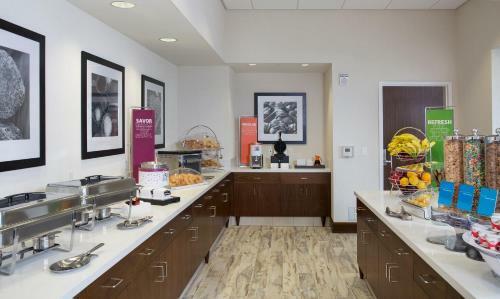 the hotel Hampton Inn & Suites Oahu/Kapolei, HI - FREE Breakfast so we can give you detailed rates for the rooms in the desired period.